And so, it's April 15th. Happy American Tax Day. Blah! Boooo! Help!!! Of course, not everyone waits until the last minute. Maybe you filed weeks ago. Maybe you're getting a refund. They say that there are two things that cannot be avoided in this life: Death and Taxes. It seems to me not insignificant that the One who embraced death for us all began His life by being enrolled in the census. 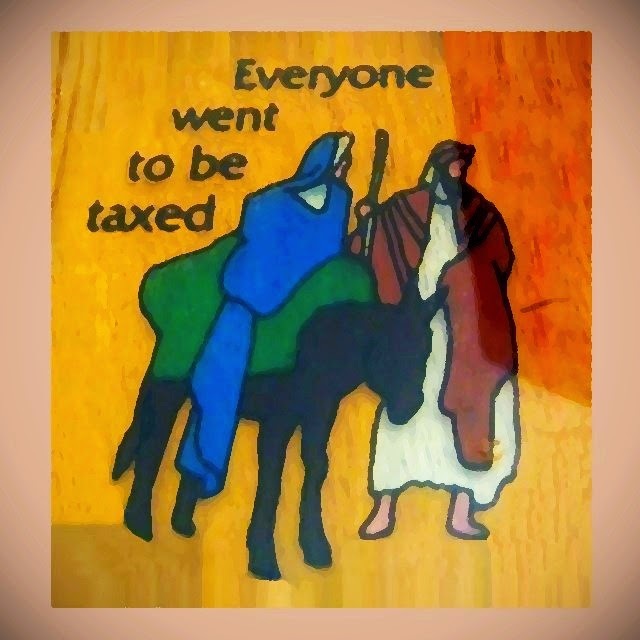 The Savior of the world was born in Bethlehem with the help of the Roman imperial bureaucracy and its tax system. So today, even as we recognize Caesar's authority to tax our money, we remember also that we must render to God what belongs to God, our consciences. Yet God seems so far away when the forces of the world loom over us. It would seem like nothing for worldly power to crush the human conscience if it runs out of ideas for how to corrupt it. Only Jesus has defeated death, and in so doing has affirmed that the relationship of the human person to God is greater than every earthly power. Our strength is in Him.